As your organization embraces virtualization and cloud initiatives, your networking, security and virtualization teams have two alternatives when it comes to protecting the resident mission-critical applications and data from modern cyber threats. The first alternative is to ignore security all together, not because it is unnecessary, but because security policy deployment cannot keep pace with the rate of virtualization changes, oftentimes lagging weeks behind. The Palo Alto Networks VM-Series combines next-generation firewall security and advanced threat prevention to protect your virtualized environments from advanced cyber threats. Native automation tools such as Virtual Machine monitoring (VM) and Dynamic Address Groups monitor VM additions, removals and attribute changes to help eliminate any security policy lag as your VMs change. The VM-Series virtualized firewall is based upon the same full-stack traffic classification engine that can be found in our physical form-factor firewalls. The VM-Series natively classifies all traffic, inclusive of applications, threats and content, and then ties that traffic to the user. The application, content, and user - the elements that run your business - are then used as the basis of your virtualized security policies, resulting in an improved security posture and a reduction in incident response time. Security best-practices dictate that your mission-critical applications and data should be isolated in secure segments using Zero Trust (i.e. never trust; always verify) principles at each segmentation point. The VM-Series can be deployed throughout your virtualized environment, residing as a gateway within your virtual network and controlling VM-to-VM communications based on application and user identity. This allows you to control the applications traversing your virtualized environment, while blocking potentially rogue or misconfigured applications and controlling access based on user identity. Today's cyber threats will commonly compromise an individual workstation or user, and then they will move across the network, looking for a target. Within your virtual network, cyber threats will move laterally from VM-to-VM, in an east-west manner, placing your mission critical applications and data at risk. 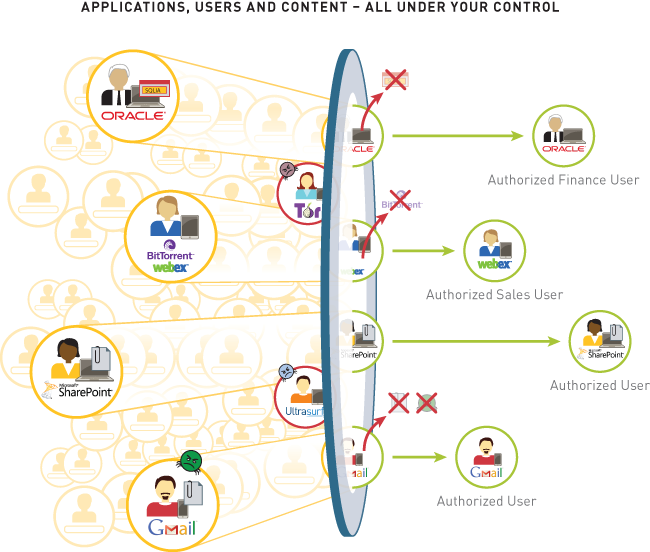 Exerting application-level control using Zero Trust principles in between VMs will reduce the threat footprint while applying policies to block both known and unknown threats. A rich set of automation features and APIs allow customers to streamline their security policy deployment so that security keeps pace with the buildup and teardown of their virtualized mission-critical applications. Virtual Machine monitoring: Security policies must be able to monitor and keep up with changes in the virtualization environment, including VM attributes and the addition or removal of VMs. Virtual Machine monitoring (i.e. VM monitoring) automatically polls your virtualization environments for virtual machine inventory and changes, collecting this data in the form of tags that can then be used in dynamic address groups to keep policies up to date. Dynamic address groups: As your virtual machines change functions or move from server to server, building security policies based on static data, such as IP address, delivers limited value. dynamic address groups allow you to create policies using tags [from VM monitoring] as an identifier for virtual machines instead of a static object definition. Multiple tags representing virtual machine attributes such as operating system can be resolved within a dynamic address group, allowing you to easily apply policies to virtual machines as they are created or travel across the network. RESTful APIs: A flexible, REST-based API allows you to integrate with 3rd party cloud orchestration solutions such as OpenStack and CloudStack. This enables the VM-Series to be deployed and configured in lockstep with virtualized workloads. 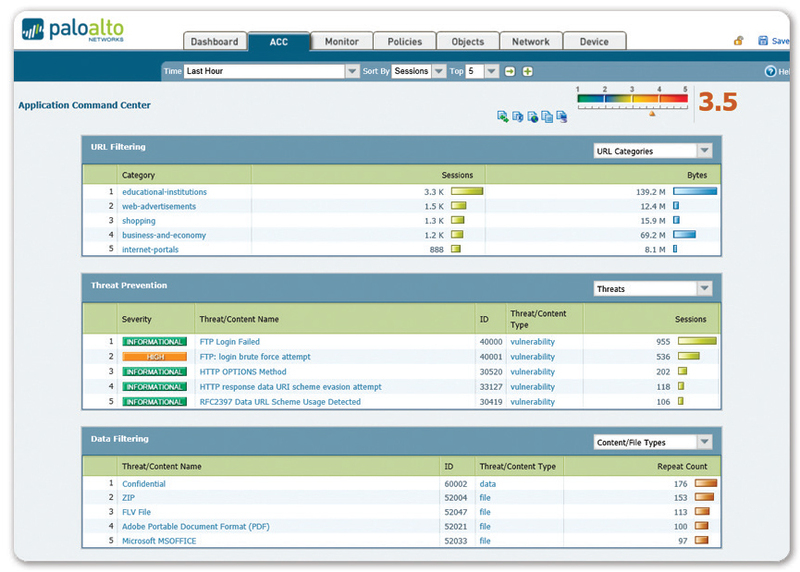 Centralized management: Panorama™ allows you to manage your VM-Series deployments along with your physical security appliances, thereby ensuring policy consistency and cohesiveness. Rich, centralized logging and reporting capabilities provide visibility into virtualized applications, users and content. Traditionally, security policies were applied based on IP addresses, but the increasingly dynamic nature of users and applications mean that IP addresses alone have become ineffective as a policy control element for safe application enablement. Mobile devices are a part of nearly every modern network. As a result, security teams need to deliver protection and policy enforcement to a myriad of new devices and applications. The Palo Alto Networks next-generation firewall extends comprehensive application visibility and control and vulnerability protection to mobile devices. To optimize computing resources, enterprises are moving towards supporting virtualized applications with different risk levels on a single server. 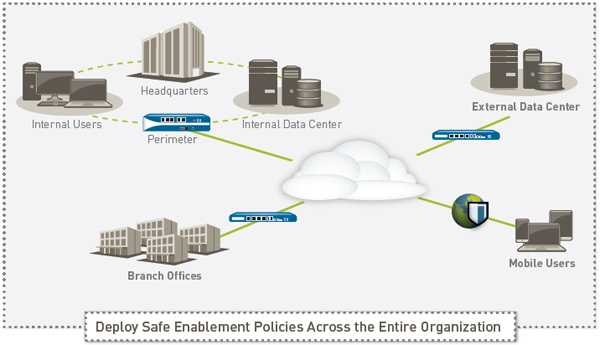 In these environments, virtualized firewalls are critical to deliver security for your communications within the virtualized server. 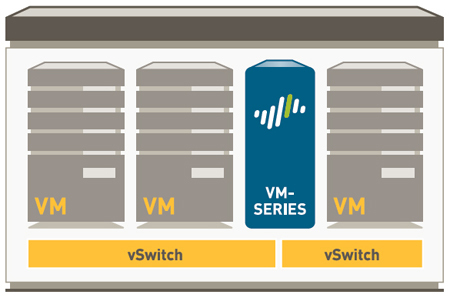 The VM-Series for ESXi supports a range of interface types including L2, L3 and virtual wire, allowing you to deploy the VM-Series in a different interface mode for each virtualized server, depending on your needs. The VM-Series for NSX automates the provisioning and deployment of next-generation firewalls and advanced threat prevention by tightly integrating the VM-Series, Panorama for centralized management, and VMware NSX network virtualization. VMware NSX automatically directs application traffic and associated content to the VM-Series for analysis and inspection. Panorama enables you to define applicationbased security policies and create dynamic address groups, which include virtual machine attributes such as IP address and operating system, allowing you to dynamically apply policies to virtual machines as they are created or travel across the network. Please see the VM-Series for VMware NSX solution brief for more information on this integration. The VM-Series on Citrix NetScaler SDX enables security and application delivery controller (ADC) capabilities to be consolidated on a single platform, delivering a comprehensive set of cloud-based services to enhance the availability, security and performance of applications. This integrated solution addresses the independent application needs for business units, owners and service provider customers in a multi-tenant deployment. In addition, this combined offering provides a complete, validated, security and ADC solution for Citrix XenApp and XenDesktop deployments. Please see the VM-Series for Citrix SDX solution brief for more information on this integration. The VM-Series for Amazon Web Services (AWS) enables you to protect public cloud deployments with our next-generation firewall and advanced threat prevention capabilities. Available as an Amazon Machine Interface (AMI), the VM-Series can be deployed as an EC2 instance to protect traffic flowing into and across your VPC. A rich set of automation features enable security policy deployment to keep pace with changes in your VPC. 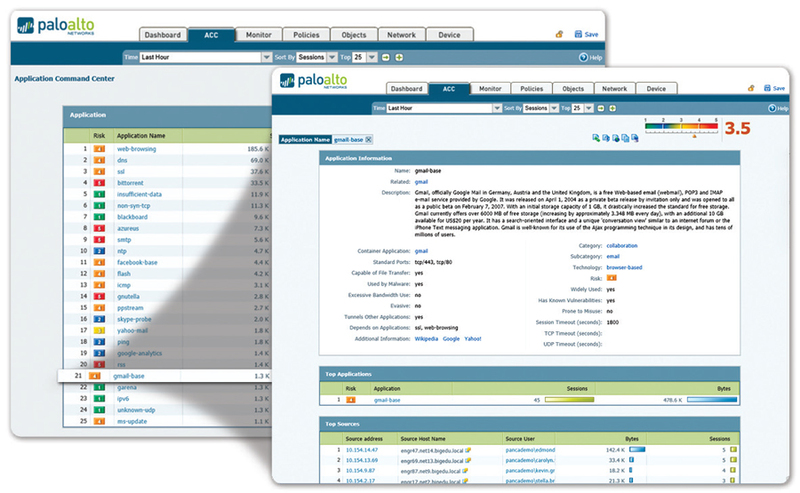 Panorama enables you to centrally manage all of your Palo Alto Networks deployments. Please see the VM-Series for AWS solution brief for more information on this integration. The VM-Series for Kernel Virtual Machine (KVM) will allow service providers and enterprises alike to add next-generation firewall and advanced threat prevention capabilities to their Linux-based virtualization and cloud-based initiatives. KVM is a popular open-source hypervisor that will enable service providers and enterprises to deploy and manage the VM-Series across a range of Linux operating systems including CentOS/ RHEL and Ubuntu. In addition to the rich set of automation features and APIs within the VM-Series, the VM-Series for KVM can be managed using Panorama, along with the optional support for the OpenStack plugin. Please see the VM-Series for KVM solution brief for more information on this integration. Download the Palo Alto Networks VM-Series Specsheet (PDF).